Our baby will be here any day now! 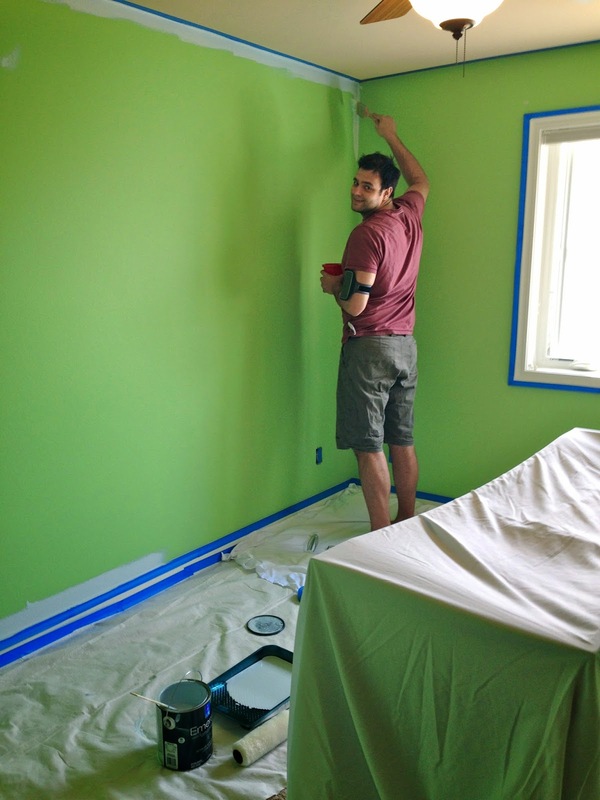 My nesting started early--before we knew we were having a boy--so I started with Jonathan's room. As mentioned in my last post, it's no secret that J loves airplanes. He identifies the kind of airplane flying over him in the sky, he wakes up in the morning talking about the weather that day and how it will affect air traffic, and he makes anything he can get his hands on into an airplane... even the specials menu at Culver's takes off, lands, and flies around in "corkscrews" and "falling leaves" (actual terms for air show stunts). So it wasn't really hard to pick a theme for his room. Between some vintage airplane prints from Etsy and a wooden model plane hanging over his bed... it quickly became a very Jonathan room. And I'm so pleased with how it turned out! This is a big deal because decorating is not one of my natural gifts. I have to invest a lot of time, self-doubt, tears, and nail holes before I have something I'm happy with, and even then it's not a guarantee. But more importantly, he loves how it turned out. He calls it the "airplane room," and still months later walks in and exclaims, "Woh! Yook at all dese airpwanes!" Such a happy little boy! Then, when baby was definitely a boy, I could finally work on that baby room! And the first step was painting over the lime green... eesh. At any rate, the ending was happy and my nesting was satisfied--for a few days. Then I moved on to another project. This little guy better hurry up and make his appearance because who knows how long a lucky streak like this can last?!? I am SO impressed! I don't believe you that you aren't a decorator because those airplane prints are perfection. We can't wait to hear about brother #2!